Students may also contact me through a variety of IM clients listed in the table below, particularly during office hours. For Dr. L’s complete semester schedule, visit the Calendar page. Students who cannot attend during the above times may send me and email to request an appointment or by going to http://chadlandrie.youcanbook.me/. Although I will guarantee my availability during the above hours, I am also available at other times when I am not teaching for walk-ins. 1. Required McMurray, J. Organic Chemistry, 9th ed. ; Cengage: Boston, MA, 2016. ISBN: 978-1-305-08048-5 or McMurray, J Organic Chemistry Loose Leaf with OWL, 9th ed., 2016. ISBN: 978-1-305-70102-1. 2. 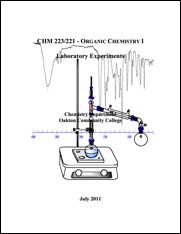 Required: CHM 221/223 – Organic Chemistry I Laboratory Experiments. 4. Required: Chemical splash goggles (indirectly vented). The goggles must seal completely around the face. Shield-type or glasses-type are not allowed. 5. Recommended: i>Clicker (1 or 2); MacMillan (www.iclicker.com); ISBN: 1429280476. 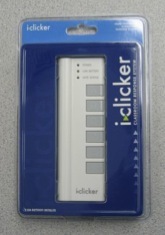 If students do not wish to purchase their own i>Clicker, one will be provided to them at the beginning of each class. 6. Recommended: Molecular model set. The URL for the course website is http://oakton.chadlandrie.com. Some of the current content includes course descriptions; instructor contact information; i>clicker instructions and statistics; resources for the laboratory, lecture notes; and shared files available for download including rubrics, study guides and the course syllabus. Most of these resources will also be available on D2L. Our Learning Management System (LMS) is Desire to Learn (D2L). D2L (https://d2l.oakton.edu) will be used to make class announcements, disseminate updates to the class schedule, post course content such as lectures slides and to post scores, curves and estimated grades. Be sure to setup your D2L notifications so that you are alerted when a news item is posted, when schedule has changed or when grades are updates. An online database of all chemicals used in our experiments can be found at: http://stockroom.chadlandrie.com/. Relevant information includes physical properties, structure, hazard and safety information, GHS statements, NFPA symbols and spectra (infrared, ultraviolet-visible and mass spectrum). A blog (http://chadlandrie.blogspot.com/) and Twitter feed (@chadlandrie) will also be maintained. I aim to use both mediums to educate students about current news in scientific fields, highlight career opportunities and to initiate discussions in organic chemistry. These are for personal interest only and are not course requirements. Successful completion of CHM 122 or CHM 207 or equivalent, with minimum grade of C, or consent of instructor. Course is first of two-course sequence (CHM 223 and CHM 224). Content presents theories, structures, and reactions of organic chemistry, including the properties of various functional groups; bonding and structure of organic molecules; properties and reactions of aromatic and aliphatic hydrocarbons and alkyl halides; stereochemistry; spectroscopy, including infrared and nuclear magnetic resonance; reaction intermediates and mechanisms such as nucleophilic substitutions and electrophilic additions; and multi-step organic synthesis. Weekly hands-on lab activities including preparations, separations, and identifications of organic compounds. Identical to CHM 221 except that CHM 223 includes two three-hour labs per week, rather than one three-hour lab per week. Apply the three models of bonding–Lewis, valence bond and molecular orbital theory–as well as their extensions–hybridization and resonance–to describe covalent bonding in organic species. Rank organic species according to physical and chemical properties, including polarity, boiling point, heat of combustion, acidity, solubility, bond strength, stability and reactivity, based on their structural features. Classify isomers as either constitutional or one of the categories of stereoisomer: conformational, configurational, geometrical, optical, enantiomer, diastereomer and meso. Relate analytical data, including optical rotation, infrared (IR) spectroscopy, mass spectrometry, nuclear magnetic resonance (NMR) spectroscopy and ultraviolet (UV) spectroscopy to structural features in organic molecules. Illustrate the thermodynamic and kinetic properties of chemical reactions by constructing a reaction coordinate diagram that illustrates the relative energies of reactants, products, intermediates and transition states as well as quantities of enthalpy and activation energy. Draw mechanisms and transition states for radical reactions and polar reactions as well as the interconversion of resonance structures using curved-arrow notation. Predict the products of and conditions required for: addition reactions of alkenes and alkynes; substitution reactions of alcohols and alkyl halides, alkylation reactions of alkynes; elimination reactions of alcohols and alkyl halides; the Diels-Alder reaction; electrophilic aromatic substitution; and nucleophilic aromatic substitution. Identify and describe the physical and chemical properties of conjugated systems and aromatic compounds. Design synthetic routes to organic molecules using retrosynthetic analysis. Students who successfully complete this course will be able to do the following at an acceptable level. Operate instrumentation, such as an infrared spectrometer, melting point device, and polarimeter, independently to acquire data relevant to an experiment. Assemble glassware apparatuses to perform techniques such as distillation, extraction and chromatography. There are serious consequences to violations of the academic integrity policy. Oakton's policies and procedures provide students a fair hearing if a complaint is made against you. If you are found to have violated the policy, the minimum penalty is failure on the assignment, and a disciplinary record will be established and kept on file in the office of the Vice President for Student Affairs for a period of 3 years. a. Academic Dishonesty: All violations of The Code of Academic Conduct will be addressed according to the Student Academic Integrity Policy. b. Lecture Attendance: Students are expected to attend every lecture on-time. On-time is 2-5 minutes early. Attendance is recorded each time the i>clicker is used in class. There will not be opportunities to makeup i>clicker points that are lost due to absences. Lecture attendance will also be used at the end of the semester to evaluate students on the borderline of the course curves. c. Laboratory Attendance: Attendance at all laboratory sessions is mandatory. Failure to attend a laboratory session will result in a score of zero for that lab's worksheet score. No laboratory experiments can be made up. Students with approved, extenuating circumstances (e.g., severe illness, death in the family) may be allowed to complete a supplementary assignment or worksheet pertaining to the missed experiment. d. Laboratory Tardiness: Students who are more than 5 minutes late for a laboratory will not be allowed to participate and will receive a score of zero for that lab's worksheet score. e. Missed Quizzes: Failure to take a quiz due to absence will result in a score of zero. No quizzes will be made up. At least 12 quizzes will be administered. Only the top ten scores will be counted. g. Incompletes: Incompletes will not be given for students who have taken the final exam. Also, incompletes will only be granted for students showing proof of extenuating circumstances that prevented them from completing the course. Incompletes will not be given for students who are simply dissatisfied with their progress in the course or who are unable to handle their course load. When an incomplete is assigned, the work already completed and its respective scores will be used for evaluation (i.e., no work may be redone). h. Exam/Quiz Errors: Students that suspect a grading or adding error on any exam or quiz must bring the original to my office for review within one week after the exam or quiz was returned. A letter must accompany the exam that describes in detail what errors are suspected. Exams and quizzes that have been written on or manipulated may not be submitted for review. Exams and quizzes submitted for review will not be returned; students should make a copy for their records. i. Official Scores: Dr. Landrie maintains the official scores, point total and grades for each student. The D2L course website is updated often, but may not reflect the official, current record. Students may see Dr. Landrie anytime during office hours to obtain a grade report with their current, official scores and estimated course grade. j. Written Homework: Assignments and their due dates can be found on the class schedule. Two points will be deducted from the score for each day an assignment is late, including weekends. Extensions to these deadlines will only be granted when there are extenuating circumstances that can be documented. Students are expected to complete homework individually. While some amount of group work is expected and encouraged, blatantly copying answers from a peer is considered plagiarism and will be addressed according to the Student Academic Integrity Policy. Accept in the case of theft, all involved parties will be held responsible for plagiarism. k. OWL Homework: OWL in an online homework platform. Assignments are organized by lecture. OWL assignments are available one day before the lecture and due one day after the lecture by 11:55 pm. For example, the OWL assignment for a Tuesday lecture is available at 12:05 am on Monday and due by 11:55 pm on Wednesday. Late submissions incur a penalty of 50%. l. Laboratory Worksheets: Laboratory worksheets must be completed individually. Students will work in groups during the laboratory; however, all laboratory worksheets must be completed individually. Copying any part of a peer's worksheet will be considered plagiarism and will be addressed according to the Student Academic Integrity Policy. Accept in the case of theft, all involved parties will be held responsible for plagiarism. m. Worksheet Deadlines: All worksheets are due the following class period regardless of whether a lab is completed that day. Late worksheets will be assessed a 2 point penalty per day. n. i>Clicker Cheating: Under no circumstances may a student cast votes for another student. Students caught with more than one i>clicker during lecture will have the i>clickers in their possession confiscated. Users of all clickers confiscated will receive a zero for the i>clicker portion of the course. o. Assigned Reading: Students are responsible for reading the textbook sections listed in the class schedule prior to the lecture covering those sections. Quizzes may cover assigned reading before the material is presented in lecture. p. Laboratory Safety Procedures: Students must follow all laboratory policies and procedures outlined in this syllabus and in Appendix A of the laboratory manual. Failure to follow these safety protocols may result in a loss of laboratory notebook points (2 points per violation) or earned grade of zero for that laboratory and dismissal from the laboratory for severe violations (e.g. eating or drinking in the lab). Additionally, students are expected to read all hazard and safety information for the chemicals they will be using during the laboratory. These details can be found online at http:\\stockroom.chadlandrie.com. 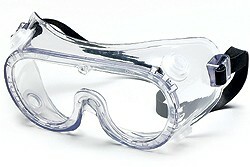 q. Goggles: All students must wear goggles in the lab at all times when chemicals, glassware or instruments are being used or when instructed by the Professor. Students not wearing goggles will be warned once; subsequent violations will result in the loss of two points for each violation. r. Email Communication: Dr. Landrie will send class announcements to students’ Oakton email address. Students are responsible for checking their D2L News feed and email at least once daily. Textbook: McMurray, J. Organic Chemistry, 9th ed. ; Cengage: Boston, MA, 2016. The laboratory activities and experiments can be found in the laboratory manual for the course. a. Lectures: Lectures will be presented using digital presentation software and an overhead projector. The lecture topics will be taken from the current course textbook as well as from outside sources at the instructor’s discretion. Following class, lecture will be posted on the course website for students to download. b. i>Clicker: i>Clicker questions will be asked during each lecture; students will vote on the correct multiple choice answer using their i>clickers. These questions will also serve to initiate discussion and to measure whether concepts are being understood as they are taught. c. Skill Builder Exercises: Several times throughout the semester, the lecture period will be used to complete activities designed to help students master problem solving in organic chemistry. The activities will be completed in groups and as a class to give students the opportunity to observe how others, including the instructor, solve organic chemistry problems. d. Homework: The instructor will develop written homework assignments that compliment the lecture and textbook material. Since all questions are not graded for correctness, it is the student's responsibility to ensure each question is mastered by studying solutions to similar problems, working with colleagues and seeking assistance from the instructor. e. Laboratory Experiments: Students will conduct several experiments in organic chemistry designed to connect the concepts learned in lecture to practical experiences. These experiments will include learning analytical techniques, such as melting point determination, thin-layer chromatography, gas chromatography, NMR spectroscopy, infrared spectroscopy and gas chromatography. Students will also synthesize organic compounds using classical and contemporary chemical reactions in organic synthesis. f. D2L Multimedia Multimedia such as practice worksheets, handounts, instructional videos and practice quizzes will be posted to D2L. a. Writing Skills: Students are expected to write at the college level on homework, exams and written assignments. College level writing includes adherence to rules of grammar, the ability to organize thoughts into a logical order using cohesive paragraph structures, and legible handwriting for written assignments. b. Communication Skills: Students are expected to communicate the language and ideas of organic chemistry orally as well through their writing. All students will be asked to answer questions during class and to participate in discussions and oral presentations. Students are also responsible for communicating with their peers and their instructor when they need help. Students are encouraged to ask questions and to seek out answers to help them master the course content. c. Computer Skills: Students will require basic computer skills to complete homework assignments, to complete written assignments using a word processor, to search the academic literature using online databases, to access the course website and to view their course grades using the D2L online course management system and to communicate with the instructor through email. Students are required to check their email once daily to stay apprised of course announcements. d. Organization and Time Management: Students are responsible for checking the class schedule to determine when assignments are due, what advanced reading is required prior to each lecture and when exams and quizzes will be given. Students are expected to read the listed sections in the schedule before they are covered in lecture. Students are responsible for using the class schedule to plan their studying activities prior to quizzes and exams. Students are responsible for determining when prelab entries must be completed in their lab notebooks. e. Critical Thinking: Students are expected to solve problems in organic chemistry that require them to summarize, analyze, and apply concepts. While memorization is an important skill and needed in parts of the course, it is not the primary method of learning and success cannot be obtained solely through it. All required resources are available for purchase at the OCC bookstore. i>Clickers may also be purchased from third parties, new or used, or borrowed from friends not using the clicker during that particular semester. 1. Required:	McMurray, J. Organic Chemistry, 9th ed. ; Cengage: Boston, MA, 2016. 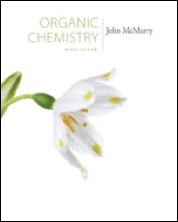 ISBN: 978-1-305-08048-5 (hardcover) or McMurray, J. Organic Chemistry Loose Leaf with OWL, 9th ed. ; Cengage: Boston, MA, 2016. ISBN: 978-1-305-70102-1 (loose-leaf) . 2. Required: OWLv2. This is the Cengage online homework platform. An access code is bundled with the loose-leaf text sold by the Oakton Bookstore. It can also be purchased directly from Cengage. 3. Required:	CHM 221/223 – Organic Chemistry I Laboratory Experiments. 5. Required:	Chemical splash goggles (indirectly vented). The goggles must seal completely around the face. Shield-type or glasses-type are not allowed. 6. Recommended:	i>Clicker (1 or 2); MacMillan (www.iclicker.com); ISBN: 1429280476. If students do not wish to purchase their own i>Clicker, one will be loaned to them at the beginning of each class. 7. Recommended:	Molecular model set. 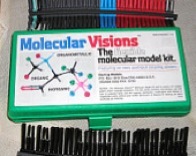 Preferred set is “MOLECULAR VISIONS Organic, Inorganic, Organometallic” in a green plastic box. Sold by Darling Models, INC. ISBN: 978-09648837-1-0.
a. i>Clicker The i>clicker will be used in most of the lectures this semester. Generally, 5-10 questions will be asked during each lecture to reinforce a concept just covered or to determine if I have done a sufficient job of explaining a topic. These questions will appear on the projector screen as part of the lecture slides. One point will be awarded to each student that answers the question; one additional point will be given for the correct answer. The questions may be reviewed later by downloading the lecture slides or by viewing the i>clicker page within the course website. At the end of the semester, the accrued number of i>clicker points will be converted to a scale with a total of 30 course points (3%). b. Written Homework Homework will be assigned that covers the material presented in the lecture and textbook readings. Each homework assignment is worth 10 points. Students will receive a maximum of six points for completion. One point will be subtracted for each incomplete or missing question for a maximum of a six-point deduction. A random set of questions will be graded out of four points for correctness. c. OWL Homework OWL is an online homework platform. Many of the problems are the same as those found in the textbook. There is approximately one assignment for each lecture in the course. Problems will encourage student mastery by allowing multiple attempts, providing hints and embedding links to the Ebook and other resources. d. Quizzes Quizzes will be given on the dates listed in the class schedule. At least ten quizzes, each worth 10 points will be assigned. The top ten scores will count toward the final grade. Quizzes will test mastery of topics presented in previous lectures as well as the assigned reading that should be completed prior to each lecture. e. Skill Builder Five times during the semester, the lecture period will be used to complete activities designed to help students master problem solving in organic chemistry. The activities will be completed in groups and as a class to give students the opportunity to observe how others, including the instructor, solve organic chemistry problems. Each Skill Builder is worth 10 points and is graded primarily on participation and completion. Some elements of the Skill Builder may be graded on correctness, depending on the activity. f. Semester Exams Exams will cover material presented during lecture as well as assigned readings. Question formats will include drawing reactants or products in reaction schemes, multiple choice, short answer, essay, drawing reaction mechanisms and ranking. Skill builders, quizzes, homework and i>Clicker should be used as examples of each question type. A study guide listing the topics, questions types and approximate point distribution will be distributed one week prior to each exam. g. ACS Exam The American Chemical Society exam is multiple choice. A study guide developed by the ACS will be distributed one week prior to the exam. The exam will be used mainly to ensure that all sections are meeting minimum standards for proficiency in organic chemistry. h. Final Exam The final exam is cummulative. The format of the exam will be similar to the three semester exams. A study guide will be distributed one week prior to the exam. i. Laboratory Worksheets For each experiment, students will complete a laboratory worksheet in which they will summarize hazard and safety information for the chemicals used, record data and observations during the experiment and answer questions pertaining to the experiment. These worksheets should be used to prepare for the lab exam. 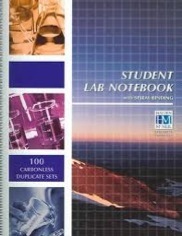 Lab notebook entries (e.g, procedure and observations) will be included. j. Laboratory Exam A laboratory exam will be administered at the end of the term. It will cover the theory, techniques and results of the experiments performed. Oakton Community College recognizes the broad diversity of religious beliefs of its constituencies. The college has embraced a practice of shared responsibility in the event a religious observance interferes with class work or assignments. Students who inform instructors in advance of an intended absence for a major religious observance will not be penalized. The instructor will make reasonable accommodation for students, which may include providing a make-up test, altering assignment dates, permitting a student to attend another section of the same course for a class period or similar remedies. Instructors are not responsible for teaching material again. Instructors should inform students of this practice at the beginning of the semester so that arrangements can be made accordingly. Similar consideration is accorded to faculty, staff and administrators and is provided for in their respective contracts. Oakton Community College is committed to maintaining a safe campus environment emphasizing the dignity and worth of all members of the community and complies with all Title IX requirements. Students who have a change of health status need to contact me as soon as possible. For accommodations specifically related to pregnancy or post-pregnancy-related parenting, contact me and consult the Title IX policy at http://www.oakton.edu/title9. If you are pregnant or become pregnant during the semester, you have the option to meet with me to discuss reasonable accommodations that may be necessary. It may not be possible to grant accommodations after the fact, so it is better to prepare in advance for any possible scenarios. Failure to abide by this policy will result in disciplinary action through the Code of Student Conduct. The lecture and laboratory schedules can be found here. They will be updated weekly as changes are made. Student will also receive notifications in class and through the D2L News items when changes are made to the schedule. These dates can be found by logging into my.Oakton.edu (Self-Service Banner Concise Student Schedule). All of the dates below can be found in the College’s Academic Calendar. Last day to to change to audit for 16-week courses. Incomplete (I) grades from summer 2013 semester for which faculty have not submitted final grades will become an "F" after this date. Last day to withdraw with a "W" from 16-week courses. Veteran’s Day holiday observed. College closed. Registration opens for spring 2017 semester. Grading day. Faculty on campus and available to students at designated times.